Buddhism in the Indian state of Himachal Pradesh can be traced back to the spread of Buddhism in the early 8th century. Over the centuries this activity has become deeper rooted, particularly in the Lahaul, Spiti and Kinnaurvalleys of Himachal Pradesh. After the 14th Dalai Lama, Tenzin Gyatso, escaped from Tibet with his followers in 1959 and took refuge in India, the focus on Tibetan Buddhism spread further and attracted immense international sympathy and support. The Dalai Lama found Dharamshala in Himachal Pradesh as an ideal place to establish his "capital in exile" at McLeod Ganj in close vicinity to Dharamshala, and is called the Little Lhasa and also as Dhasa (a combination of Dharamshala and Lhasa in Tibet). This situation has given the state a unique status in the global firmament of Buddhist traditions. 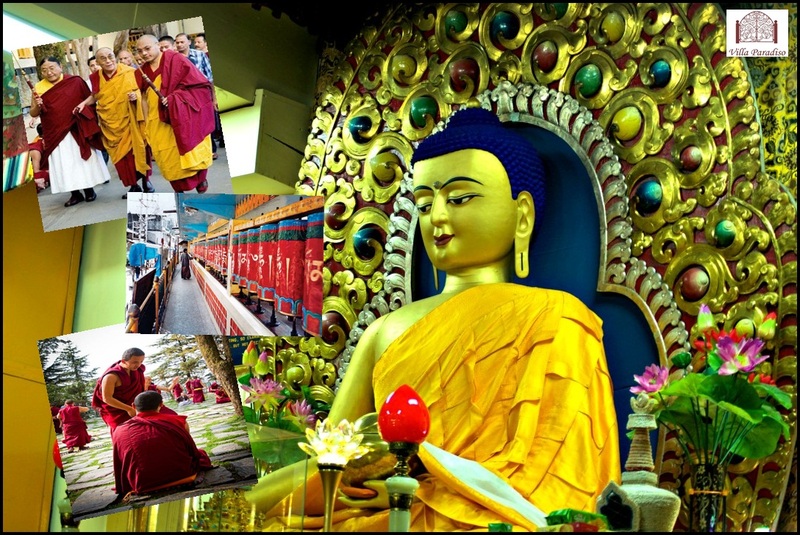 It is now the cradle of Tibetan Buddhism, with its undeniable link to the past activities initiated in the 8th century by Guru Padmasambhava(who went to Tibet from Rewalsar in Himachal Pradesh in North India to spread Buddhism), who was known as the "Guru Rinpoche" and the "Second Buddha"